Update: Aug 18, 07:58 - Pretty big update. Blaster launchers are complete! Matthioux, Kix4Trids, Willow2 added. Aug 9, 16:45 - GD is in. 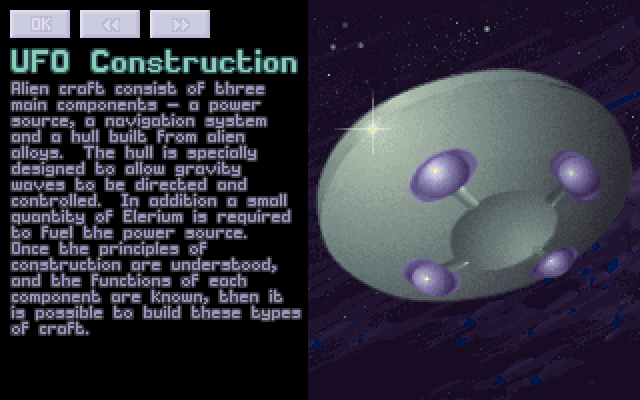 Jul 21, 10:38 - Fixed locations of bases in "geoscape and world at large"
Jul 7, 16:02 - Sectoid battleship complete. Woah. I got 50 Emoticons, and 7 IMG tags. I'm filling this thing up. The Game - This is where the action happens! The Discussion Talk about SupSuper's game here. The Signup Board - Sign up for Supsuper's superhuman game here. You can also customise your starting stats using SupSuper's program. You can find it in the first post in the same thread. Soldier Stats - Check your stats in the zip file. 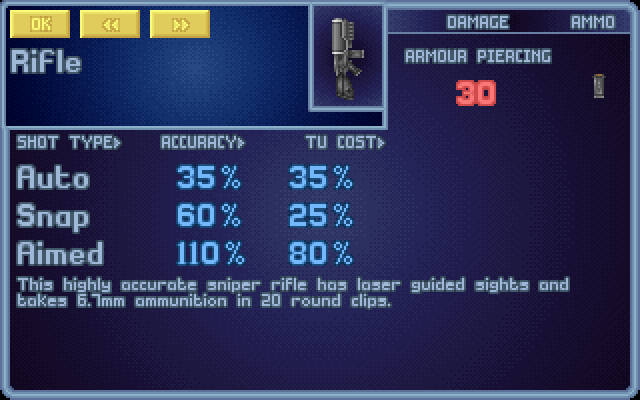 PSI Stats - This shows the PSI stats of many veterans. The link may change, if Supsuper wants to give it a different home. If you die, your PSI stats will change. Read this before you choose your equipment!! Please don't put comments like "If I have 40 strength...". If you want to check your stats, go to the Soldier Stats link, and download the zip file. You can carry up to your strength with no penalties. You'll lose 1 TU for every point that you go overweight. Every item has it's weight listed beside it in this post. Every squad is limited to 80 items! This means you can only have 3 - 5 items. Rookies will get fewer items than the higher ranks. If you don't use your items, the spare items will go to other agents, or as spares on the ground. Supsuper will have the rest of the items to do with whatever he wishes, since he's running the game. I'll try to keep up to date, and to make this post more useful as time goes on. Good luck troopers. You're going to need it. - Xcom Website (left of screen) is located in Poland, with Skyranger-1 and Skyranger-2. - Offtopic Area (top of screen) is located in Canada, with Skyranger-3. - Ontopic Area (center of screen) is located in China. 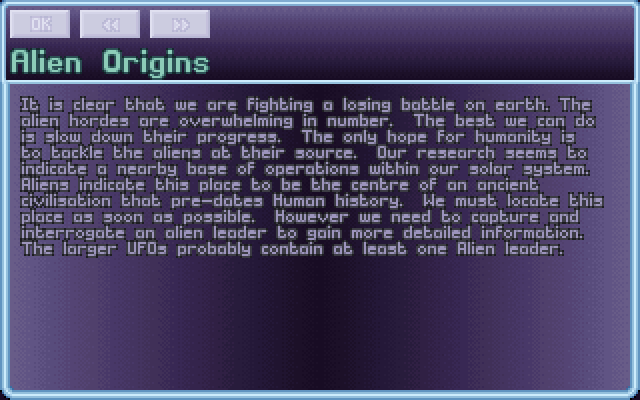 - Alien Base-1 is located on the frosty part of Canada. The Laboratory Topics: 50 Scientists, 4 new topics! 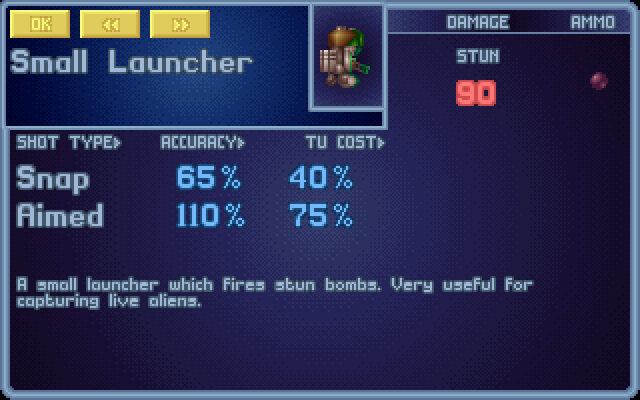 Aug 18 - Blaster launcher is complete! Get one today! 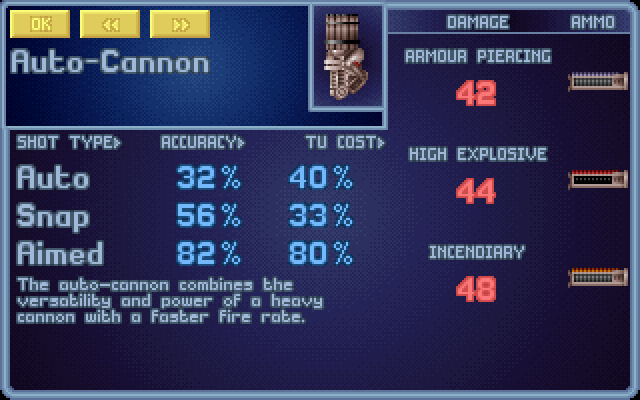 - Heavy Cannon +AP/HE/I Ammo.......(18, 6/6/6) Excellent against weaker races. - Rocket Launcher +FE/HE/I Rockets..(10, 6/8/8) Dominating! 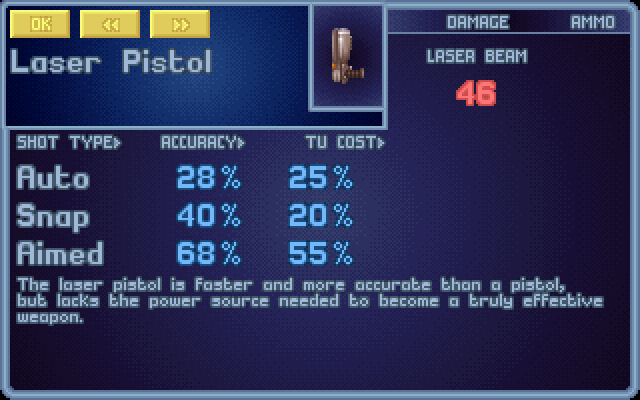 - Laser Pistol...................................(7) All people with pistols will be upgraded. Poor performance. 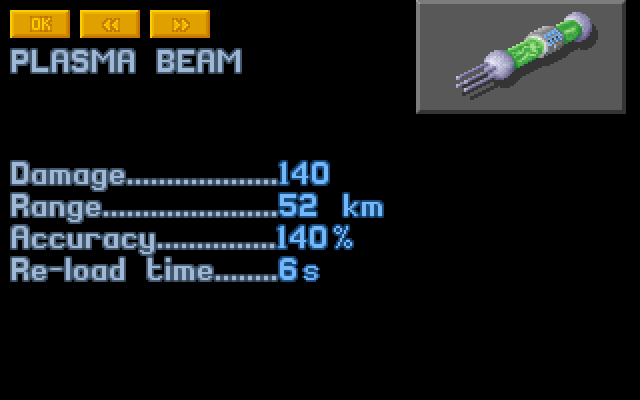 - Heavy Plasma + clip....................(8, 3) Default gun. Pretty darn good. - Stun Launcher + Bombs................(10, 3) Long distance stunning, great against sectopods! 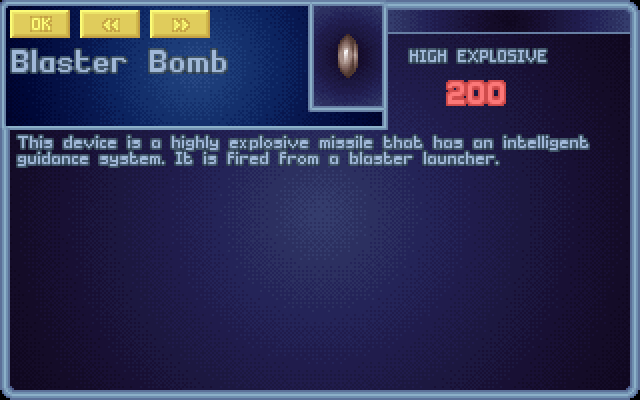 - Blaster Launcher +Bombs..........(16,3) The big one! We need strong minded people to carry these around! 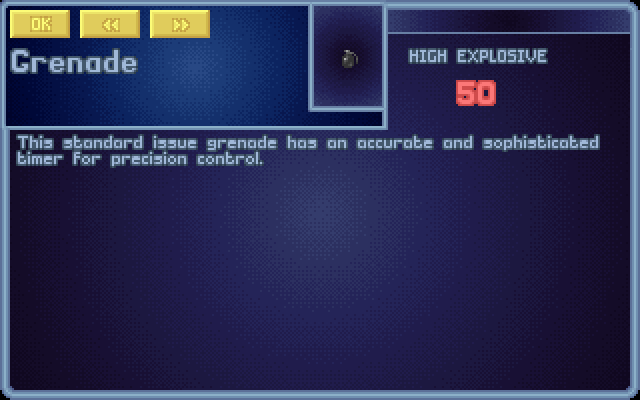 - Hi Explosive Grenade......................(6) still powerful! 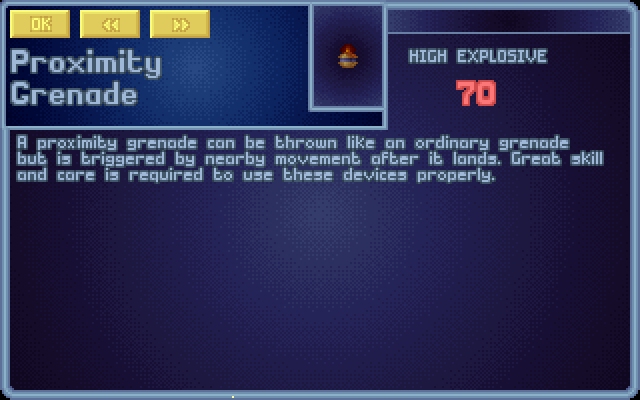 - Proximity Grenade..........................(3) kill aliens as they come out of doors. 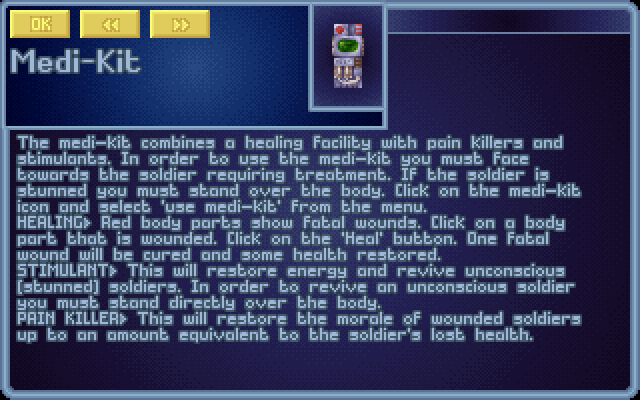 - Medkits.........................................(5) Heal your friends. 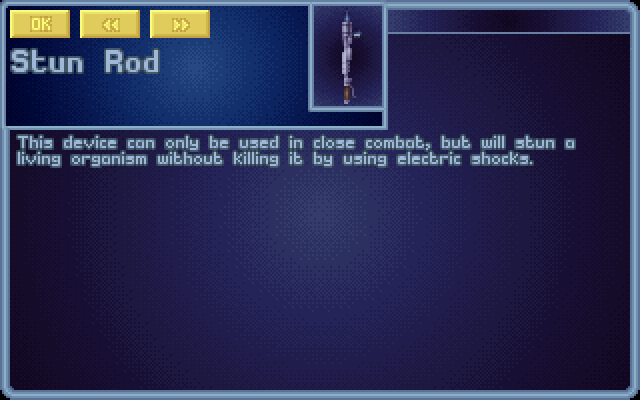 - Stun Rod......................................(6) What, no takers? 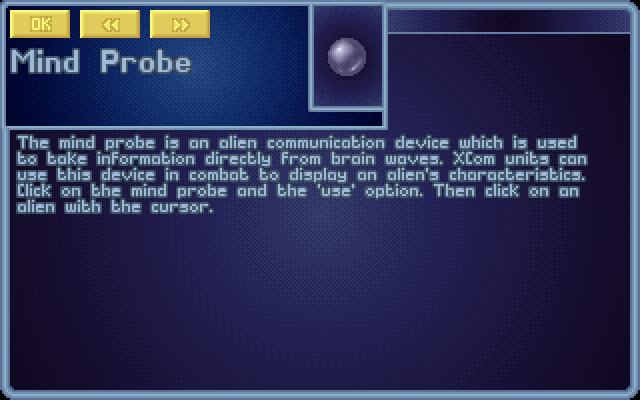 - Mind Probe ...................................(5) Read the stats of your enemies. 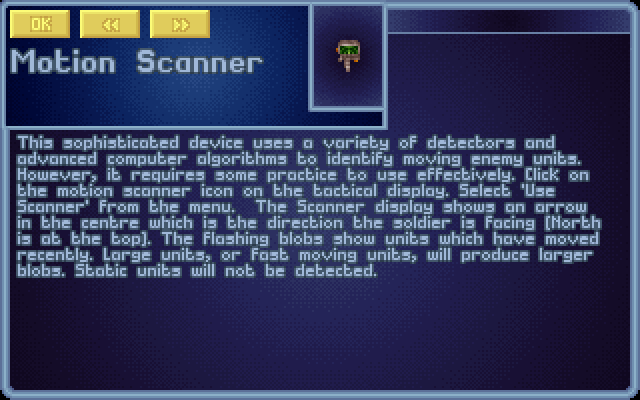 - Motion Scanner...........................(3) New! Detect nearby enemy movement. Great for flyers on top of UFOs. - Rifles and Pistols are gone. They are so gone. - Normal Grenades (3) are obsolete. Alien grenades are the default type. Normal grenades will be placed on agents only in the most dire of shortages. 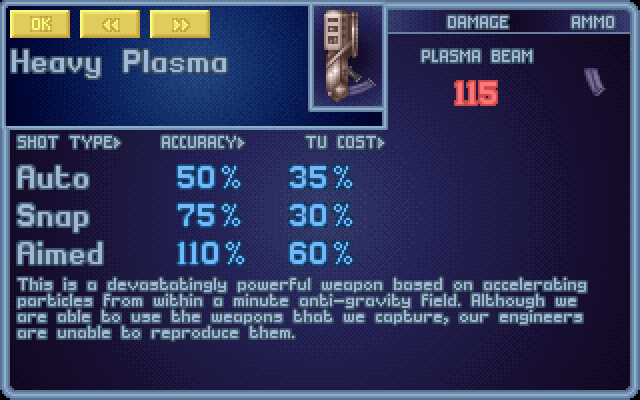 - Heavy Plasma is the default weapon. Ask if you want other weapons. 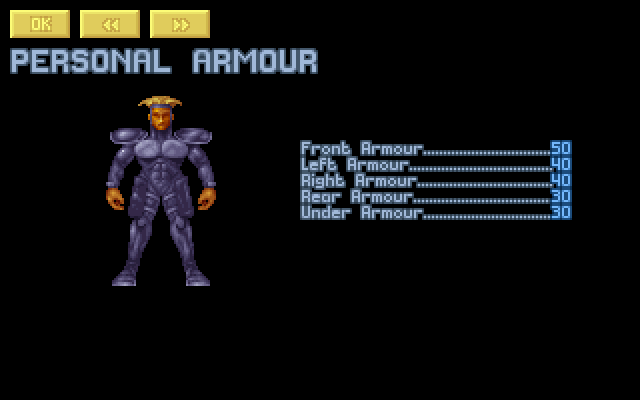 - Everyone now has personal armour. Commander Tommy will keep his personal suit. - Alien Grenades are now the norm. Supsuper will add smoke and flares if they're really needed. ----Commander. I'd rather tommy be the commander, but... I guess I can't complain. The Killed counters explains how your agents died. 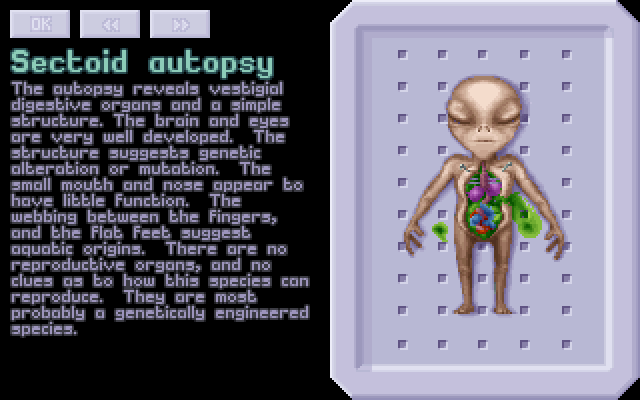 Skyranger-1 Equipment List: Did a small sectoid UFO. :x1sergeant: Stewart 2............[A:1].............- Autocannon+AC-HE clip; 1 AC-HE spare; 1 AC-I. :x1sergeant: SupSuper 3.........[A:2]..............- Whatever he wants, when he wants it. :x1sergeant: Deathskull 2.........[A:1]............- Heavy Plasma + Clip; 1 Grenade; 1 Flare; 1 Medikit. :x1rookie: Red knight 3........[A:1,F:1]........- Rocket Launcher + 3 HE; Medikit. :x1rookie: J'ordos 4..............[A:2,F:1].......- Heavy Plasma + Clip; 3 Smoke. 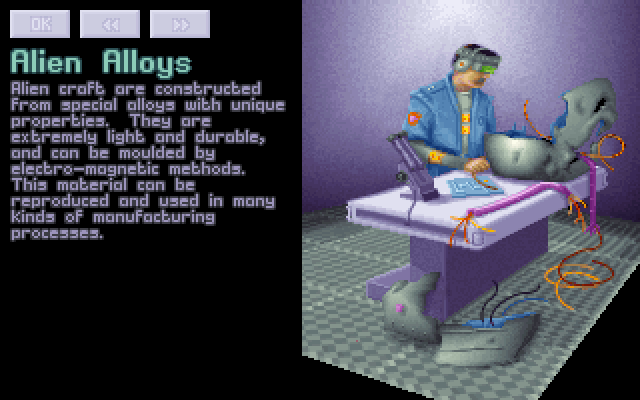 Skyranger-2 Equipment List: Came back from a sectoid supply ship. All deaths were because of me. :x1lieutenant: Judge_Deadd2........[A:1].........- Laser Rifle; 1 grenade;1 stun rod. :x1colonel: Gene$|s.................................- Heavy plasma+clip; 2 flares. 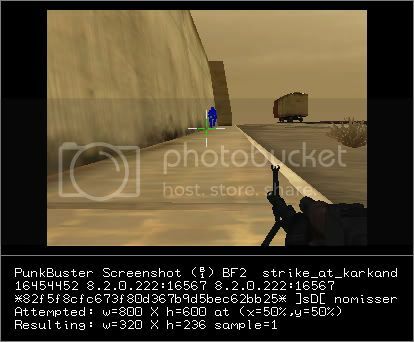 :x1rookie: Whitewashed2........[A:1].........- Heavy Plasma + 2 Clips; 1 medikit. :x1sergeant: Trevelyan................................- Laser Rifle; 2 grenades; 2 flares; Power Suit. 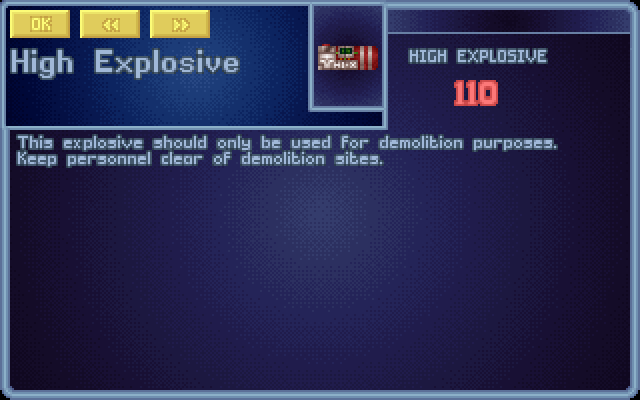 :x1squaddie: Kamikazee 2............[S:1].........- Dual HiEx; many more explosives. A walking bomb. :x1squaddie: Gyrfalcon................................- Heavy Plasma+ 1 clip; 1 Grenade; 1 Proxy; 1 Stun Rod. :x1squaddie: Extralucas...............................- Laser Rifle; Medikit; Stun Rod; Scanner; Power Armour. 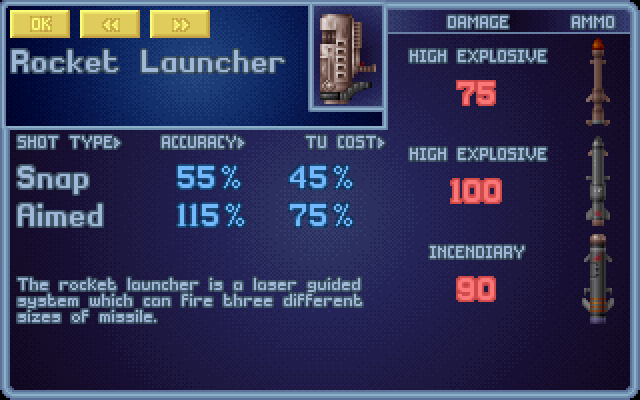 :x1rookie: Danny252 2...............[F:1].......- Rocket Launcher+ I Rockets; 1 grenade; 2 proxys; Laser Pistol backup. :x1rookie: Agent Orange..........................- Heavy Plasma + 1 clip; 2 Grenades; 1 Medikit; Personal Armour. Reserves: Backup people. Will be the crew of Skyranger - 4, when it's ready. 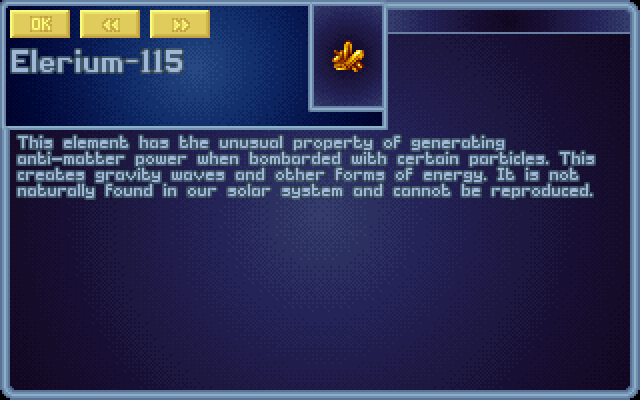 :x1rookie: Magicandy...............................- Laser Rifle; 2 medpacks. 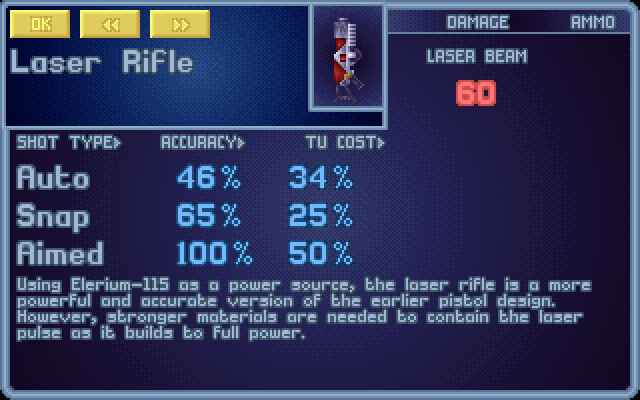 GD........................................ - Laser Rifle; 2 Proxies; 1 medkit. 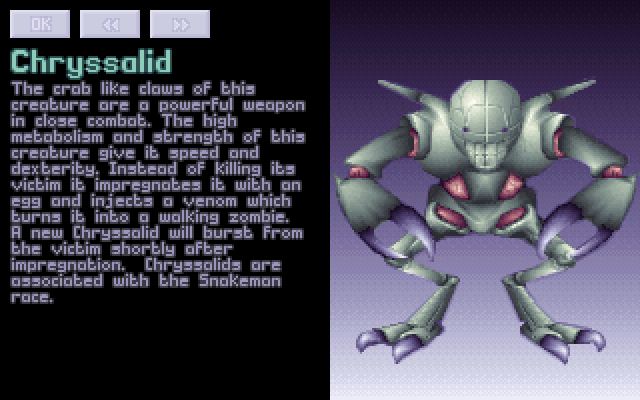 Azrael151............................... - Heavy Plasma + Clip; 2 A. Grenades; 1 Medkit; Flying armour. Kix4Trids................................ - Stun Launcher + 4 bombs; medkit, personal armor. 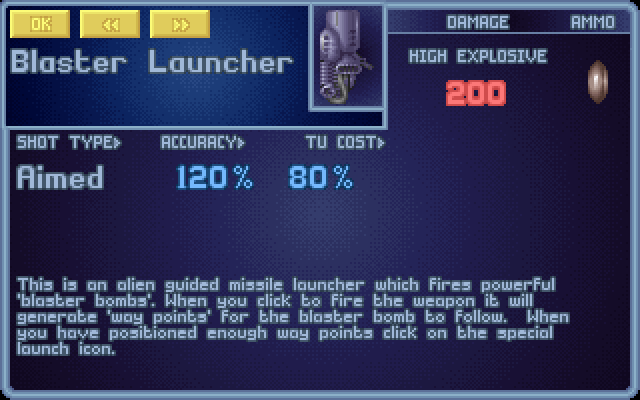 [b]Willow2................................... - Blaster Launcher + 2 bombs! Sorry for the constant layout changes. In the long run though, it should be much easier to read at a glance. Whew! That's alot of stuff. I'm suprised how much there is to keep track of. I hope I got it all right. Please let me know if something's wrong. Edited by Robo Dojo 58, 18 August 2004 - 05:58 AM. Haha! 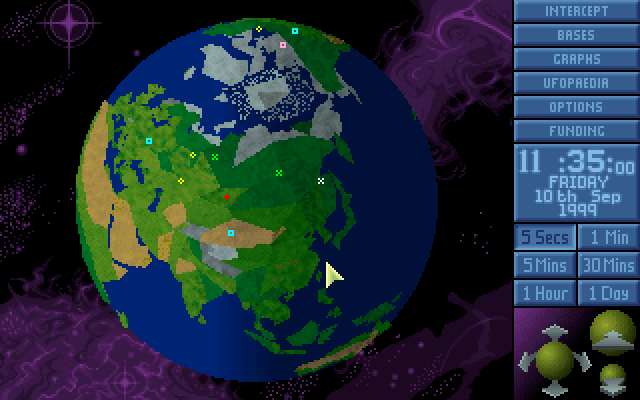 I'm now the Supreme Commander of X-COM. Time to kiss Earth goodbye. 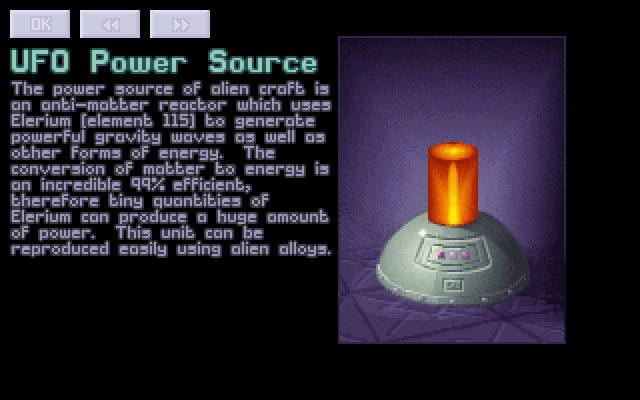 My first order of business: Homeless people make cheap rookies, and are great at opening UFO doors. Heck, they're so cheap, I'm going to replace all personel with them! Secondly: This organisation takes too much money to run. Weapon shipments will come from Siberia from now on. Costly maintenance is to be cut on all facilities. That includes venting. Thirdly: We have a new colonel. His name is Facehugger, he loves aliens, and I want you all to treat him with respect. Lastly: I'll be in my condo on an undisclosed island, if you need me. Good day. - Blaster launcher (if produced.. otherwise a rocket launcher will do), some granades (the best please ) and a plasma rifle for back up. edit: K...K!!! 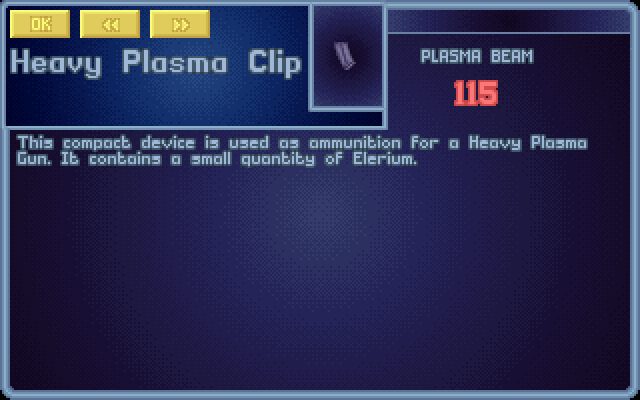 FORGET THE PLASMA! GIVE ME A RIFLE!! edit 3: I still haven't seen my stats... for now forget edit 2. Edited by Black Dash, 29 February 2004 - 09:56 AM. Edited by blehm, 10 May 2004 - 08:04 PM. do i have to remind you that we only start with human tech? Edited by j'ordos, 29 February 2004 - 09:53 AM. i'll give everyone their stats once the new recruits arrive. Just blow stuff up. Please. Edited by NKF, 19 April 2004 - 04:49 AM. I'm gonna SNIPE, prefearable from high places, and throw nades at ground level. I don't want to stay in the group, but fight it off alone. I would like to be out when the skyranger-area is cleared, and look for cover on the roof/second floor of a building (if none, behind an opsticle). I would want to shoot thet stairs once i'm up, so the aliens can't follow me. If the area i'm covering is cleared, i'll just jump out. Edited by mikker, 14 April 2004 - 01:22 PM. As for strategy, dont bother! Just put me up front! I wanna be the first one down the ramp! You need doors opened, I'm your man! Just promise me you'll dig my grave one foot deeper than everyone elses! Seven feet instead of six! Edited by deanfrz, 10 March 2004 - 08:54 AM. Edited by remysweet, 07 March 2004 - 01:31 PM. 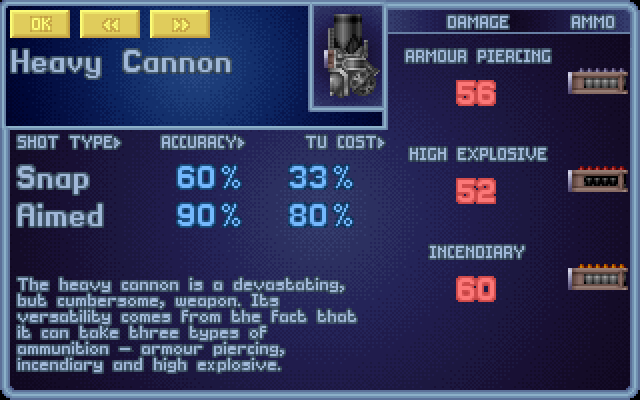 I want an autocannon and 2 AC-HE and a grenade. I want a rifle, 1 rifle clip, grenade and a stun rod. 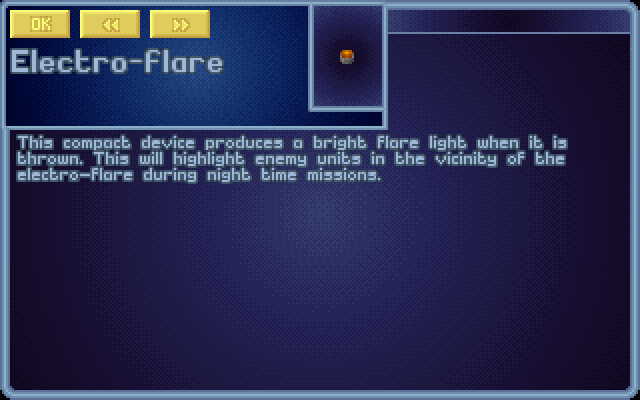 note: if it isn't dark outside, i would like some smoke granades instead of the flares. sorry, but i can't give ppl a tank since it occupies the space of 3 more players and it would give you an unfair advantage over the other players, thus you'll have to stick with a rifle like you said you could use. tanks will only be in the game as base defence vehicles. we should make an apocolypse game to. 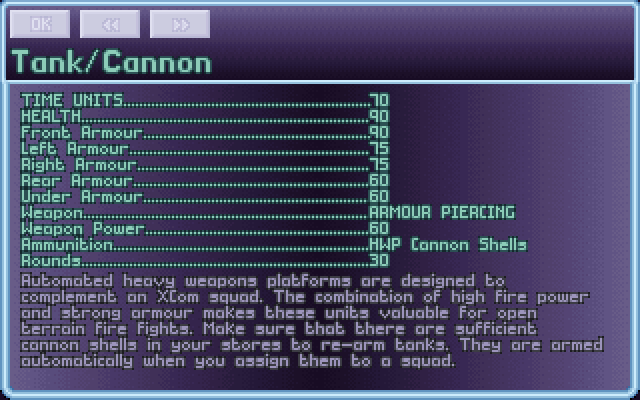 I would like to requisition a heavy cannon w/HE, a standard pistol (no xtra clip), and will have 6 weight as commander's perogative: extra HC-I or HE clip, stunrod, 2 'nades, 2 flares, or 1 HiX (your choice). 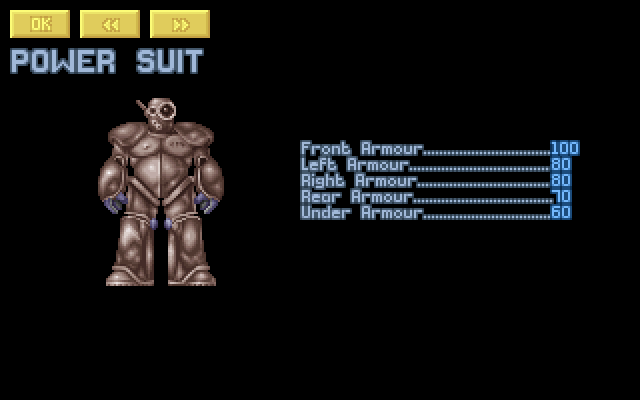 I would like to requisition a personal armor suit. 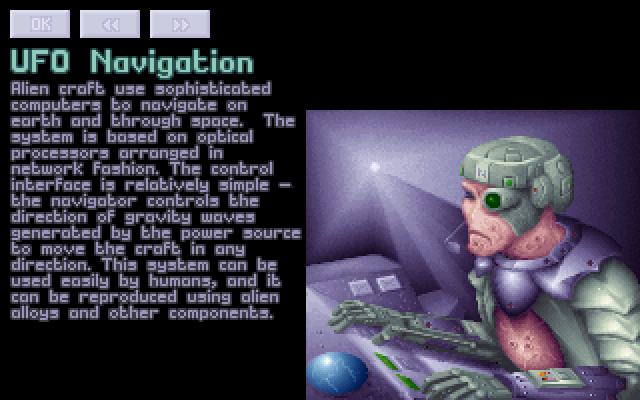 I need to Pwn some sectoids while looking cool doing it! SupSuper said that Personal armour will be given out based on rank. I'll put you on the list, though. 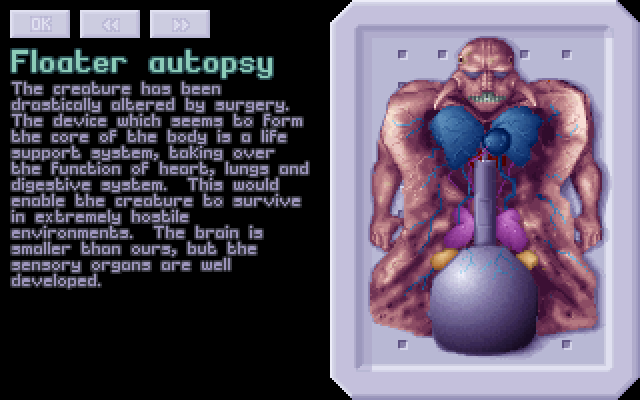 Once you have enough equipment, I`ll have Personal Armour, Laser or Plasma rifle, medikit and a couple of nads. I usually like to carry a stunrod too but that isn`t important. No need to customise my stats, I prefer to be natural. I`m a little concerned with the stats of the PA ... does that mean that if you wear it, you have a chance of spontaniously combusting ? Edited by Sir Crashalot, 07 March 2004 - 10:28 AM. could you post our ranks? all i want are the biggest primed explosives going. 3 high explosives should do. 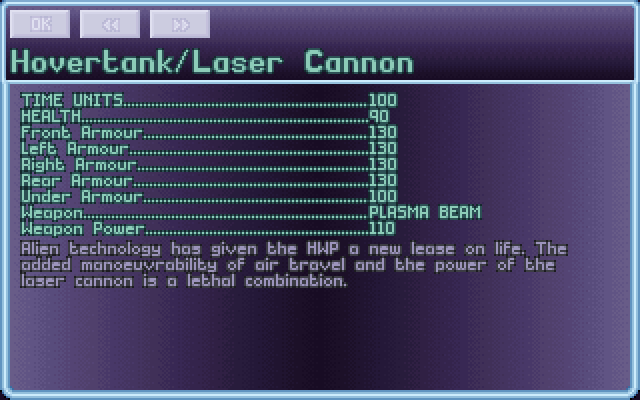 If a rocket launcher isn't available, I'll take a laser rifle. No ifs please, Facehugger. 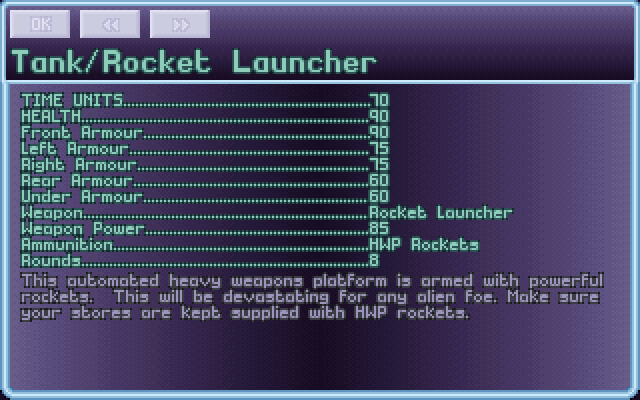 Supsuper will be able to get what you want, so I'll jot down Rockets. Edited by Robo Dojo 58, 07 March 2004 - 03:16 PM. mwa ha ha. When i do go boom can you see if you can get some screenshots please. Make sure my death is not in vain. It may not be in vain, but it'll sure make a volcanic vein in the earth's crust! I'll take a plasma rifle+clip. I'll take a Laser rifle (cause i wanna be cost effective here) 2 grenades (alien grenades if possible), and a few electro flares. Considering i'm not taking the expensive guns could i get some of the best armor available? Edited by Trevelyan, 10 March 2004 - 04:10 PM. My conscience is clear, therefore I am guilty of having a bad memory. I would like to requisition a powersuit. I've had up to here *points at ankles* with those crummy hospital staff. I dunno, it would be pretty nice to have a lifetime supply of jello. I've had some major ISP troubles, but I've finally managed to update the list. Remysweet: The closest to jello you can have is to be someone's human armour. NKF: But the nurses are cute. No wonder you keep getting injured. Can I have a pistol? Any kind will do, as long as it shoots. 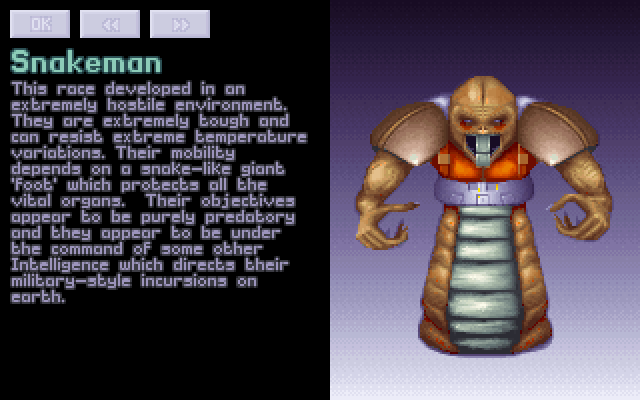 And uh, a human shield too, any volunteers? It turns out that editing the posts didn't work as well as I'd hoped. I don't get any notification of an edit, so I have to look through all the posts every update. Please, make a new post if you want a different set of equipment. It'll help keep SupSuper up to date, as well as myself.